Let’s get this out of the way up front. I’m brand agnostic. I use Microsoft, Apple and Google products every day. I enjoy using their hardware and their software for professional and for personal purposes. This is not an Apple vs Google debate. This is about technology in the classroom that is fit for purpose. Chromebooks boot up and awake from hibernation just as quickly as iPads – so there’s no learning time lost. The Chromebooks’ battery last longer for the same intensity of usage because the Chrome OS is not working as hard as iOS. It’s easier to manage a class set of Chromebooks in terms of device and user management because Google have got further with the development of the administrator’s control panel. Less hassle for the end user is what it’s all about. The integration of Google Drive, YouTube, Picasa and Gmail is way superior on the Chromebook. Each of those tools has a powerful place in the classroom, especially when they’re at your fingertips. Students can customise the Chromebooks, which goes a long way to pupils feeling ownership over the devices. Since customisation is just a matter of of each user’s profile settings, you don’t need to worry about students violating IT policy or the smooth management of the machines. Chromebooks come with a keyboard, which means we can do more things more quickly. Chromebooks last longer for various reasons – their processors are working less hard, the screen is working less hard and they’re less prone to being dropped or scratched. The ugly truth is that a lot of school iPads are becoming faulty before 12 months is up. Chromebooks are cheaper, as are the charging trollies. Workflows are less complicated – no need for all that DropBox business. Chromebooks have a built-in SD card reader so if you do want to use an external camera or copy things off the device, it’s very straightforward. Websites that still use Flash are not off-limits on the Chromebook in the way they are on the iPad. There’s no getting away from the awesome intuitiveness of touchscreens and this is the iPad’s trump card. Some things are just better learned through touch, especially some parts of maths and science. Apps like ST Math* and Learn Maths with Beluga harness the touch element perfectly and reach parts of the brain that the eye and mouse can’t get to. With a Geogebra app on the horizon and perhaps an Autograph one too, the case for ‘going iPad’ is building up. The touch feature of the iPad, though awesome, is only leveraged by a handful of great apps. So for all the reasons I’ve listed above, Chromebooks are the ideal device for my classroom. If you’re not in a position to have one device per student, Chromebooks are an even better option as having multiple users per machine is much easier to manage. It doesn’t mean to say Chromebooks are ideal all over the place – I wouldn’t use a Chromebook for planning lessons or making school resources but then I wouldn’t use an iPad for that either. It’s about selecting the right tool for the job and after 6 months of daily Chromebook usage in the classroom, I’m confident that we’re using the right one. 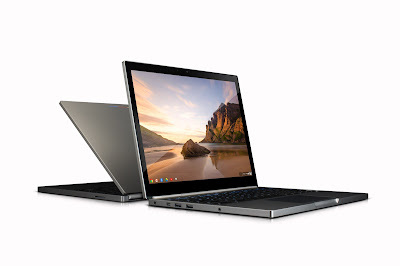 Today, Google announced the Chromebook Pixel, a touch-screen version of the Chromebook, was going on sale. It’s aimed at the personal computer market rather than education, which has pushed the launch price way out of the realms of a school bulk purchase. That said, the technology would be a gamechanger in so many classrooms. It’s the dream combination of seamless Google Apps, touchscreen, Flash and instant-on that has me licking my lips. Hey Google! If you’re listening, me and my pupils…we’re your road-test guys, ok? So Which Is Better, iPad or Chromebook? I get that. I haven’t yet used the Chromebook, but I hear great things. My Period 3 class has 1:1 iPads in bomb-proof casing with their own Apple ID. The flash issue isn’t one that I’ve seen yet and the touchscreen has actually been a problem for some “fine motor skills” activities. Most of my students prefer to use REAL Algebra Tiles and a paper notebook, instead of the digital alternatives. 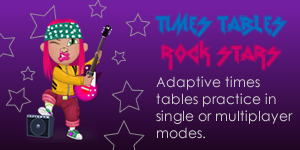 Interesting to hear that fine motor skills activities were a problem – which ones are we talking? In terms of flash, Thinking Blocks, Manga High and some manipulatives from Glencoe are ones I like to use but as you say, often there’s no substitute for the real McCoy. BTW, where do you get your algebra tiles from? Interesting article. I agree and disagree depending on what the question actually is. If we are referring to a class set of devices to be used only in school (which I believe you are) I would be inclined to agree with you entirely – iOS doesn’t lend itself to the sharing of devices at all. If you are asking the question about the best 1:1 device, where each student has ownership 24/7, then it would be the iPad by a distance. Put simply, the iPad provides far more opportunities for transformational learning than a Chromebook. Tools such as Explain Everything & iTunes U allow learners to achieve outcomes that were not previously conceivable. Chromebooks are great (Google Drive is great), but iPads are far better at this. Thanks Tom – I knew you’d have a clear view. In terms of ‘transformational’, I suspect using either device in a best-practice kind of way would lead to transformational outcomes but we’d need to agree on how to benchmark that first. I’ve found ways to accelerate learning with Chromebooks, you (and many others) have done the same with iPads. I don’t think I’ve reached best-practice yet and suspect I never will if the possibilities keep growing! I enjoy the chase though. I think it all comes down to the common denominator rather this versus that, for me the common denominator is the web any device that can utilise standard HTML5 and its extensions will be useful in the classroom, as the web grows in capability the “app” will become less relevant just as java and flash filled a need when the web was young. In an inclusive world with students encouraged to bring in their own devices sharing quickly will be the key. Currently google does this best. Our school is currently in a debate of ipad vs chrome book. Please note that at the moment we have neither. I believe that our intention is to move to TEXT book on device, and full interactive learning via device, testing, etc. Is chromebook set up to do this? Or is it a scaled down PC/laptop best suited for doing speadsheets and homework? Hi Julie, publishers are working on producing truly interactive textbooks for tablets. You’re probably better off investing in a touch device rather than a laptop if that’s all you want them for. Chromebooks (and other laptops) will display the textbook in the same way and you can use the mouse for interactivity but you can’t beat tablet for interacting with content.